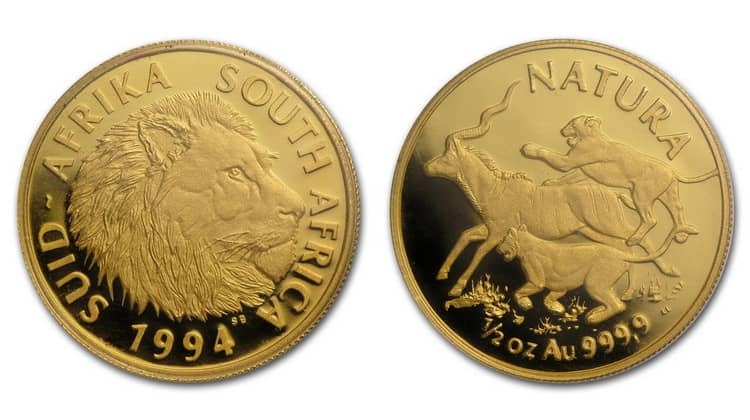 South African gold and silver coins began to be minted at the end of the 19th century. 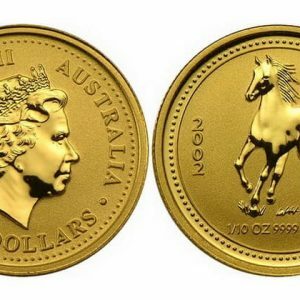 By the design of the coins, you can clearly track the important periods of the state formation, which include the period of colonization by Great Britain and the attainment of independence by the Republic of South Africa. 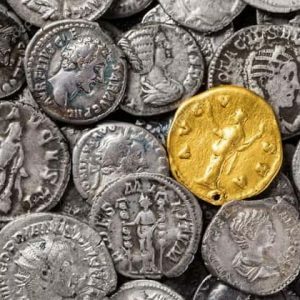 Today, gold and silver coins that are minted by this state are, first of all, an investment and interest collectors from all over the world. 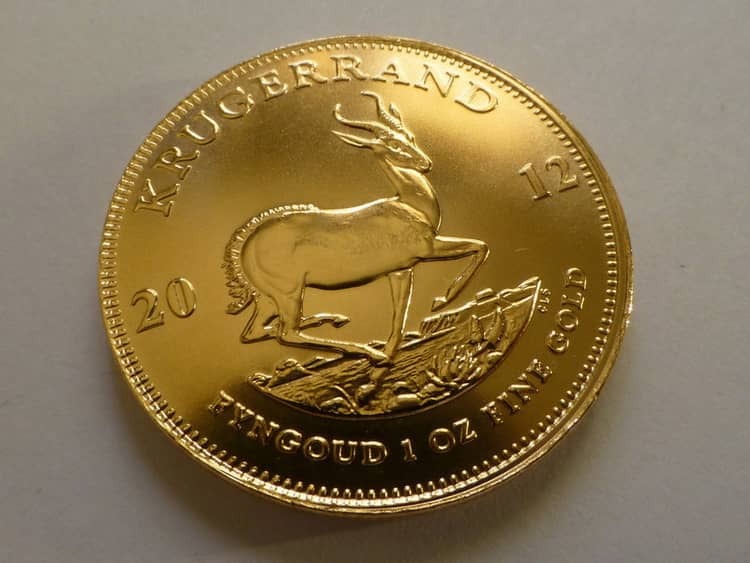 All South African gold coins in our catalog. 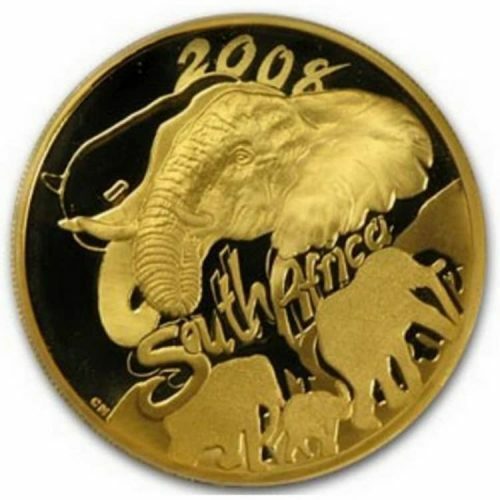 All 1 Sovereign South African gold coins in our catalog. 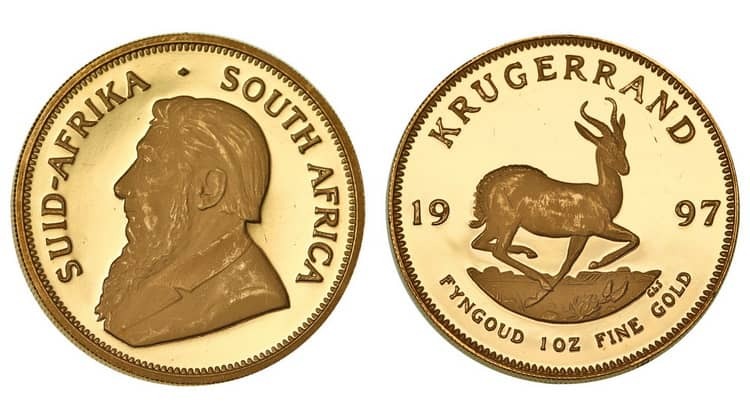 1 Krugerrand 1980 South African gold coin in our catalog. 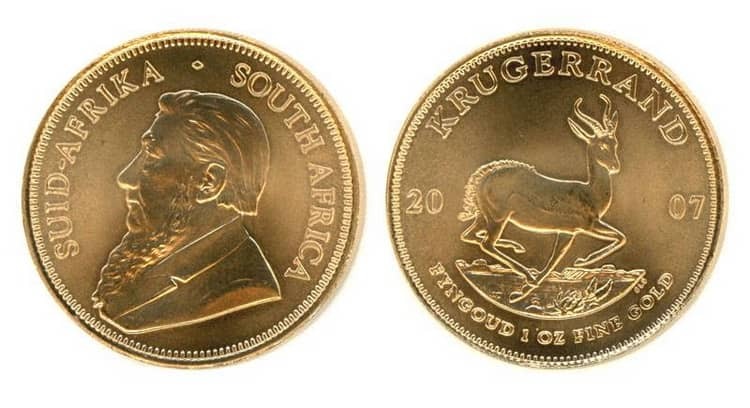 0,5 Krugerrand 2015 South African gold coin in our catalog. 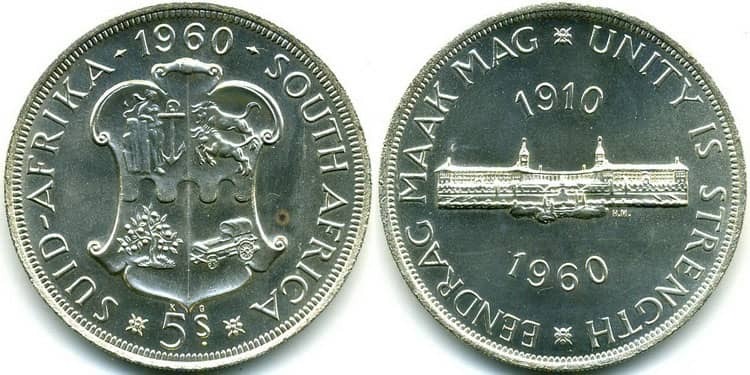 All South African silver coins in our catalog. In 1892, near the city of Johannesburg, deposits of gold were discovered, which became a prerequisite for the foundation of the Mint. Since South Africa was a colony of Great Britain, it fulfilled orders for two states at once. However, due to the outbreak of the Anglo-Boer wars, the country’s economy was shaken, and the Mint had to be closed in 1900. The war ended, the Union of South Africa (South Africa) was formed, which received the dominion status of the United Kingdom, and the British currency became absolutely legal. For convenience and cost savings in 1919, a new Mint was founded in the city of Pretoria, which actually became a branch of the Royal Mint of Great Britain. 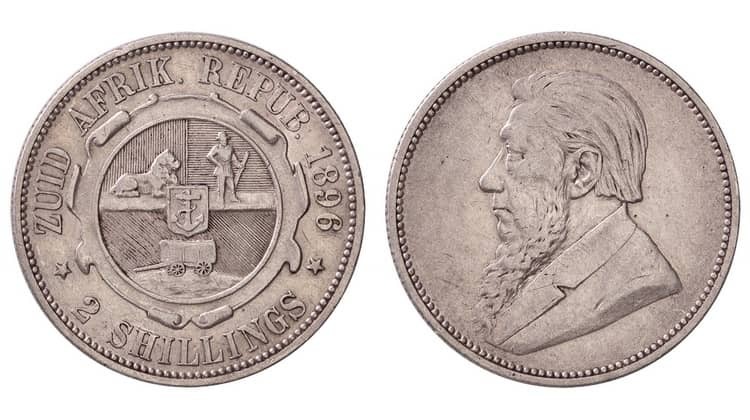 The first South African British money appeared already in 1923: pennies, florin, shillings and pounds. 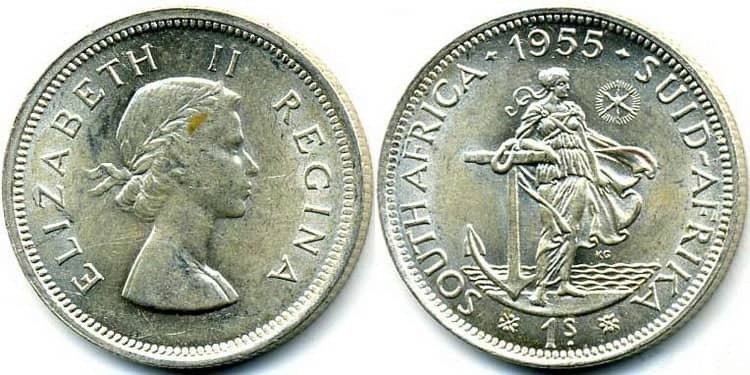 In 1941, the Mint became completely subordinate to the South African government, and in 1961 the South African Union became an independent republic and introduced its national currency, the rand. 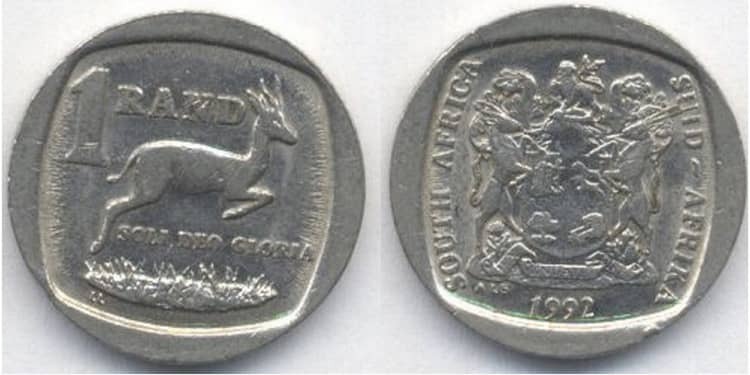 In the eighties, the Mint was privatized by the Reserve Bank of South Africa, and in 1988 it was renamed to “The SA Mint Company (Pty) Ltd”. 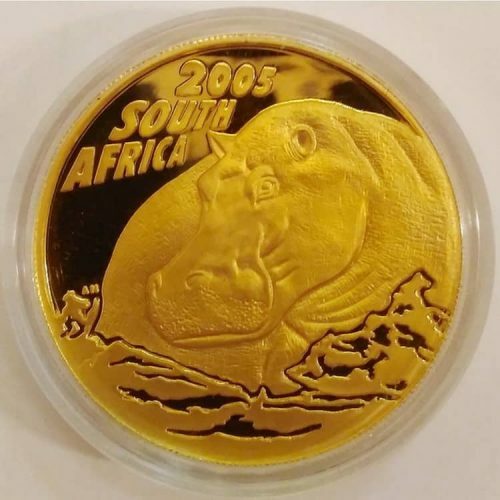 South Africa’s Gold Coin “Giants of Africa. Elephant’s” minted in 2008 is part of the “Nature” series, which is dedicated to outstanding animals of Africa. 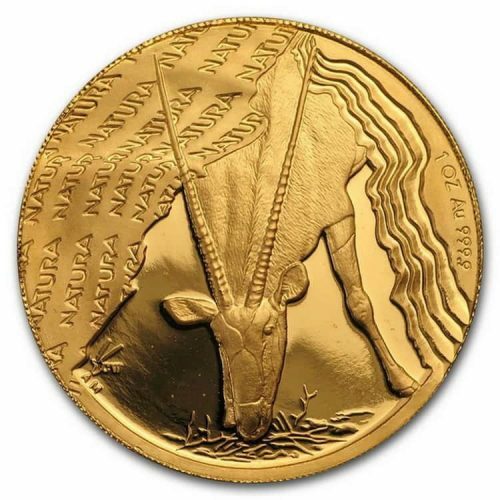 “Gemsbok”, the South Africa gold coin of the “Nature” series minted in 2001 was issued with a circulation of only 491 samples in the South African Mint. 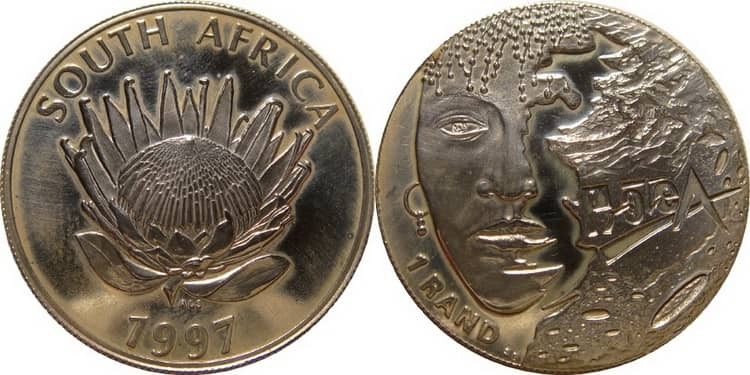 The “Woman of Africa” silver coin of 1 rand minted in 1991 became the “Coin of the Year” at the annual international numismatic exhibition. 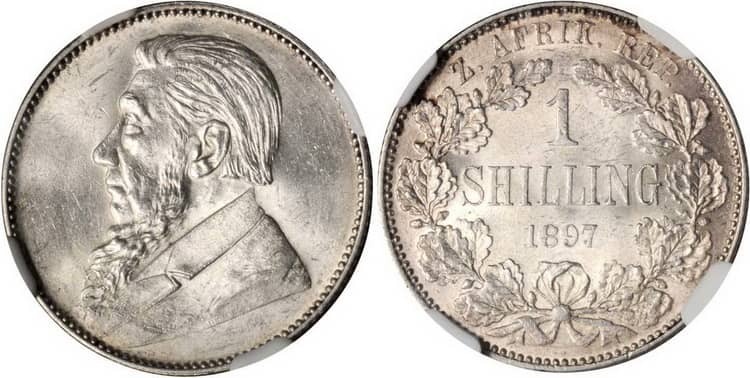 Silver shillings of South Africa are among the most beautiful coins of the African continent. 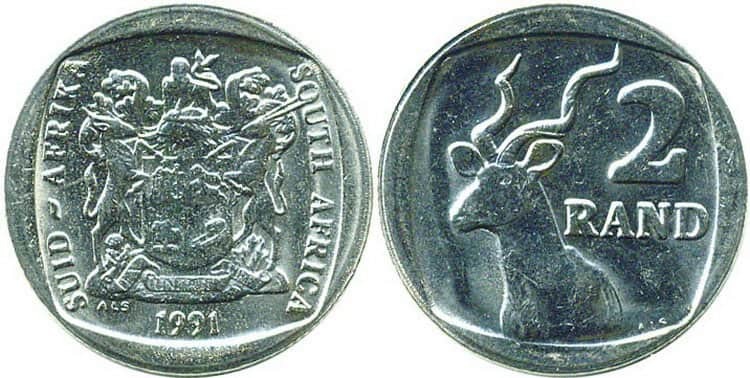 South Africa (Transvaal) minted coins from 1856 to 1899. 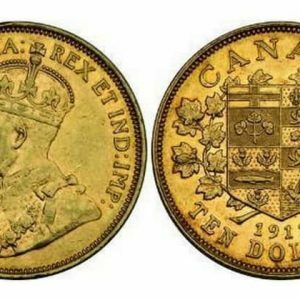 At this time in circulation were gold pond, silver shillings and pennies. The pond was 20 shillings and the shilling was 12 pence. 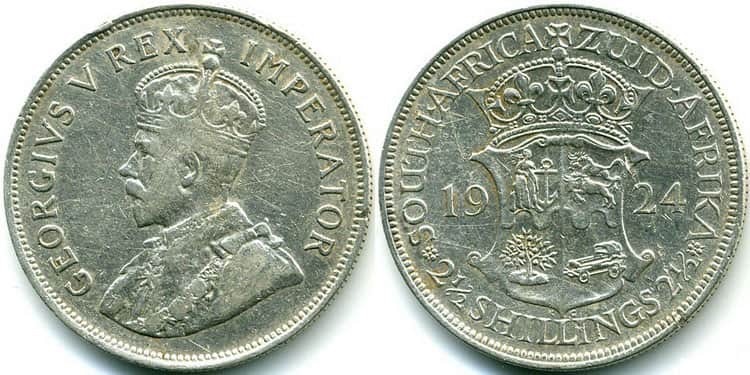 During the existence of the Union of South Africa (1910–1961), florins, shillings and pennies were minted. For example, the florin was equal to 2 shillings, and the shilling was equal to 12 pence. 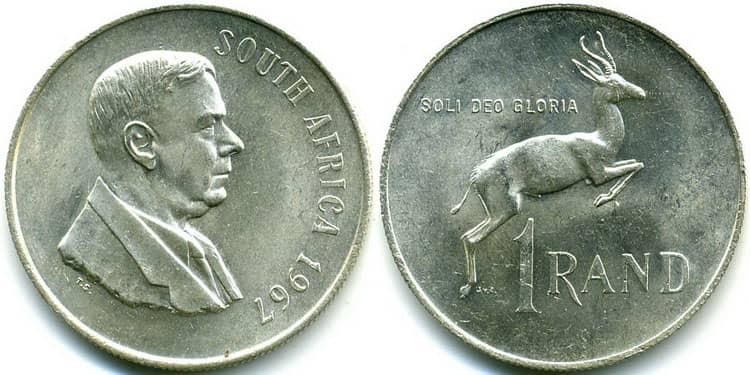 Since South Africa was a colony of Great Britain, portraits of state heads were minted on coins. 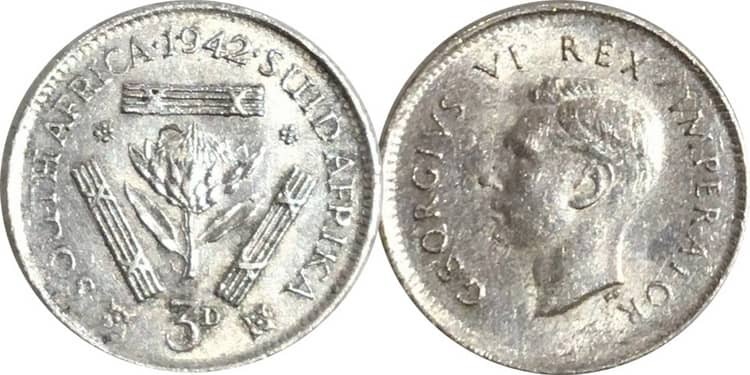 On the obverse side of the coins of the period 1910-1936 there is the side-face of King George V, and from 1936 to 1952 − the profile of George VI. On silver shillings of the period 1952-1961 there is the portrait of Elizabeth II, the Queen of Great Britain. 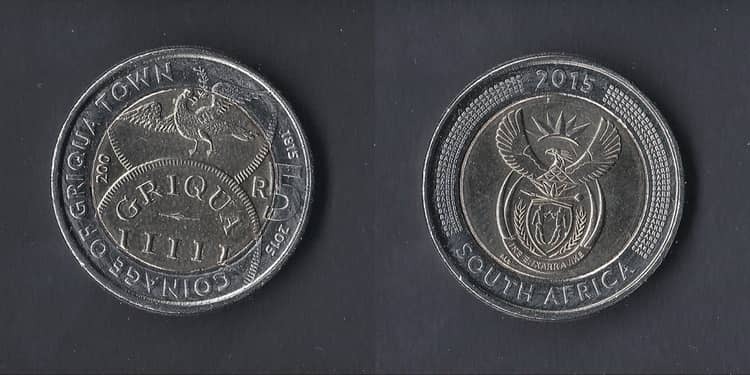 There are two types of state identification on the gold and silver coins of South Africa: “SOUTH AFRICA” and “SUID AFRIKA”. 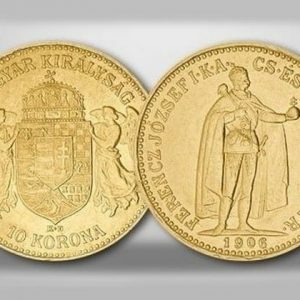 Silver Krugerrands weighing 1 ounce began to be minted 50 years after the start of production of gold coins of this type, namely in 2016, but indicating the year of issue as “2017”. 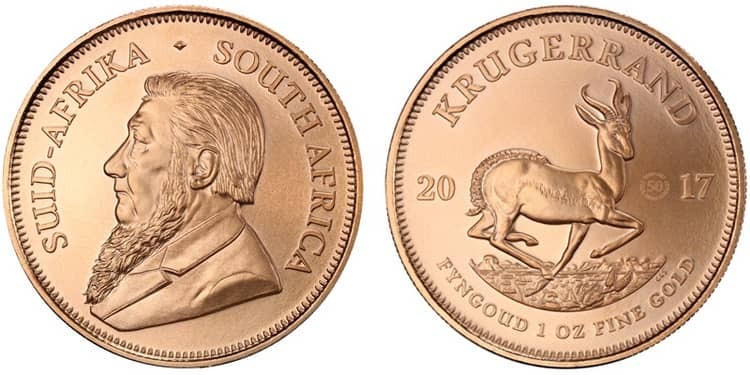 Krugerrands are exclusively investment coins and have retained their design unchanged since the beginning of the first issue for several decades in a row.